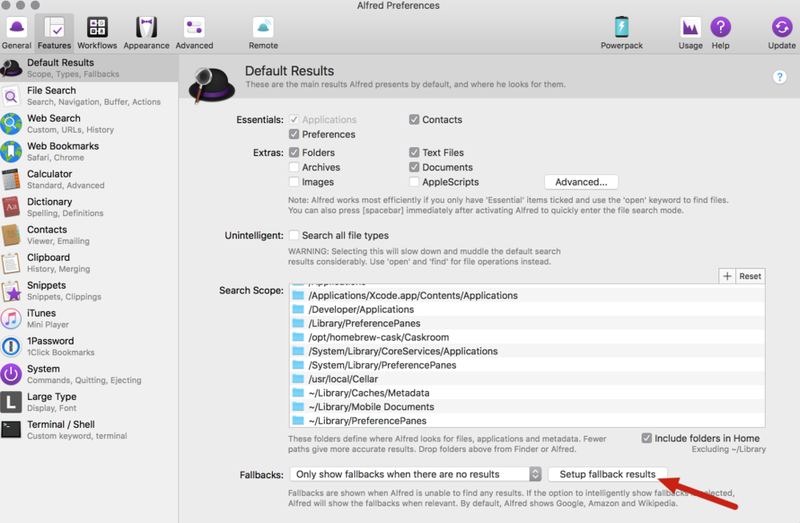 Instead of defaulting to Google, I now make use of the excellent Fallback Searches feature within Alfred. Fallback searches are essentially a list of search options you see when the keyword you are searching for doesn’t match any kind of result on your Mac. If you haven’t configured new ones, you’ll know the ones I mean. You start typing a file name, it’s not on your Mac, yet you see the options to look for the content on Google, Wikipedia and Amazon! 2) Click the Setup Fallback Results button. 3) Clicking the + button will give you the option of adding various Web Searches, Custom Searches or Workflow Triggers to the list of Fallback Searches that appear. I’ve written about how to create Custom Searches before (check it here) so It won’t surprise you to see a couple of custom search locations there - my site and the DEVONthink forum are queried many times a day. As I am a PowerPack user I also have a Workflow Trigger defined which allows me to search the local Dictionary app on my Mac for the definition of a word. I’ll finish by showing you quickly how I did that. 4) Open Workflows and create a new Blank workflow by clicking the + button in the bottom left hand corner. 6) Enter the title you wish to be displayed within Alfred. 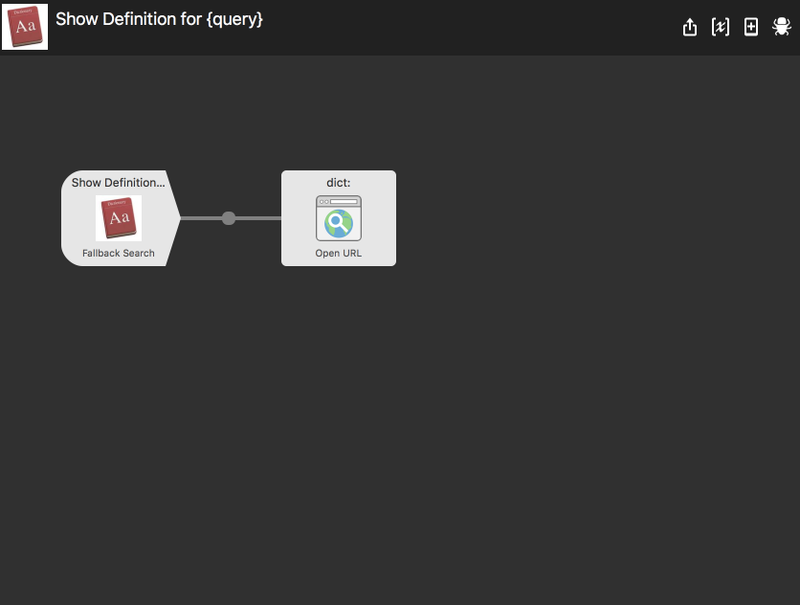 8) In the URL window, type dict://query - this prompts Alfred to open the Dictionary application with your query. 9) Save this workflow and add it to the Fallback results above as a Workflow Trigger. It may seem like a small change to make, and it certainly doesn’t take long to implement, however I’ve really noticed a difference with how I search for things now. It’s also had an impact on how I search for things on iOS now, as I am developing some default searches with Launch Centre Pro and I’ll follow this post up with those results soon!